2) When I was growing up and learning how to putt, you had your standard interlocking grip. As time went on people starting experimenting with the grip (right hand low, etc.) but man do so many pros use all types of hand configurations on tour! I saw claw grips, baseball grips and so many other types, I have no idea what to name them. 3) The tournament was played on the South course but imagine my surprise to see amateurs teeing it up on the North course on Saturday? Its both cool that they can play at the same time as pros but also distracting and you have to keep your head up on the holes that are shared between courses in case of any wayward ball (you have to with the pros as well but that is another matter). 4) Rickie Fowler was the big draw of the day. There was a San Diego police officer following around the festivities at all times. 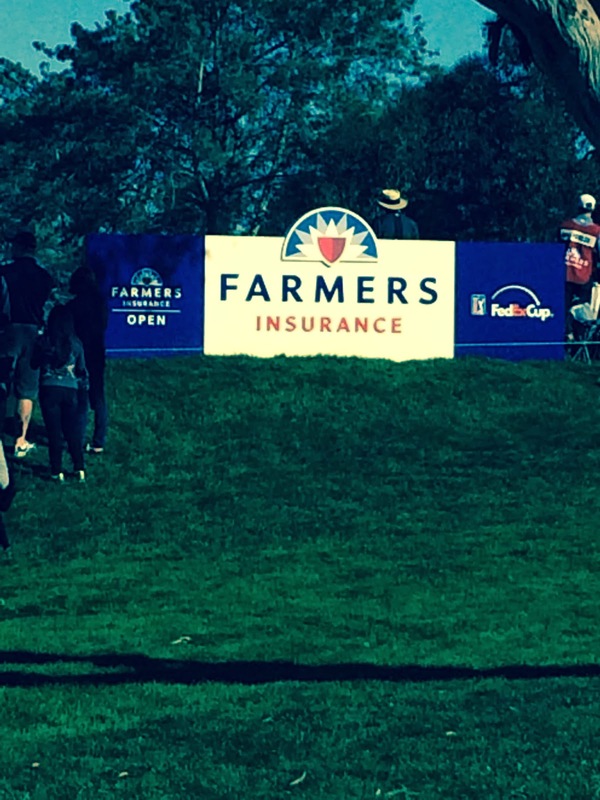 5) Farmers Insurance put on a great tournament. From the parking to the food tents to the volunteers, this was a well run tourney. There were corporate tents everywhere which sometimes made it difficult to get in between some holes but that is life on the modern PGA tour. 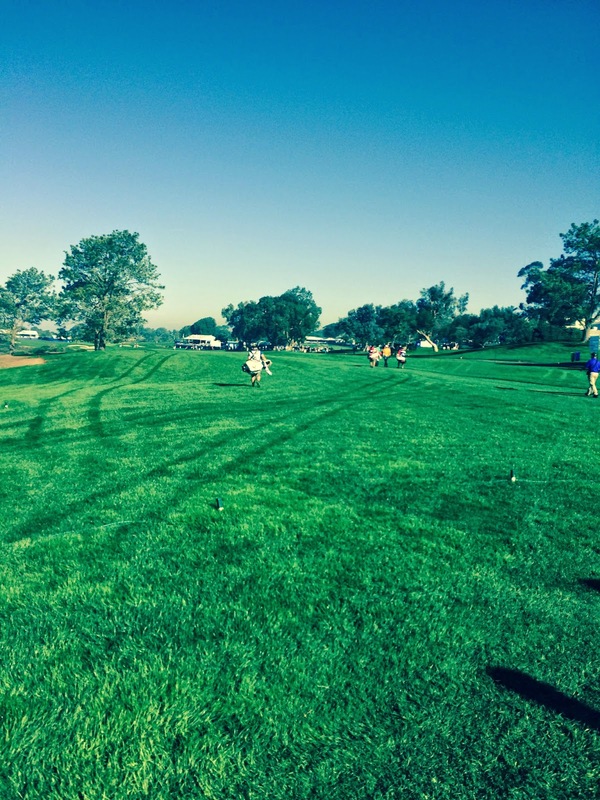 Farmers went out of their way to engage the fans on social media and at the course in a way I don't see many tournament sponsors do and that also made for a great experience. 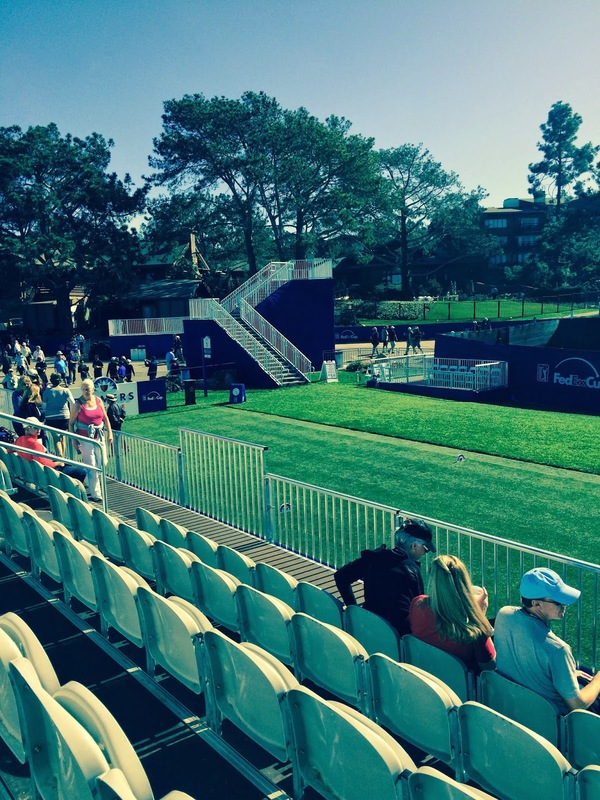 6) I always think that the best day to go to a PGA event is on a Thursday. There are few people and you can really get up close and personal with the pros you watch on TV. 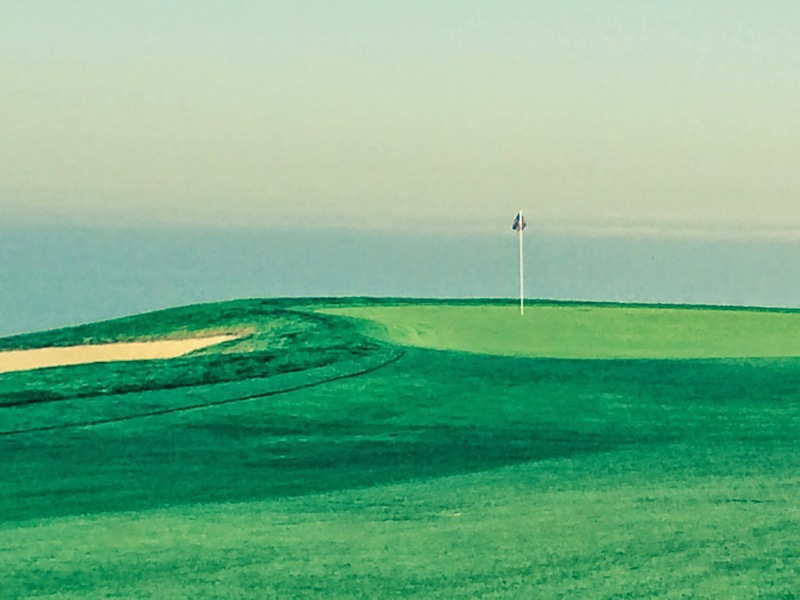 That being said, Saturday at Torrey Pines was very pleasant. Sure the super groups involving Rickie, Harris English and weirdly Cameron Tringale (local boy) were huge but the rest of the course was spaced out enough so the crowds were thin if you wanted to follow along. 7) Speaking of the spacing of the course, whoo doggy is it long. I mean, there are 2 par 5's that are 614 yards! Of course, if I am ever lucky enough to play the course, I won't be playing from the pro tees (they aren't open for the public) but I will have to bring my A-length game to this sucker. 8) You can't beat the sea air and the views with a stick. 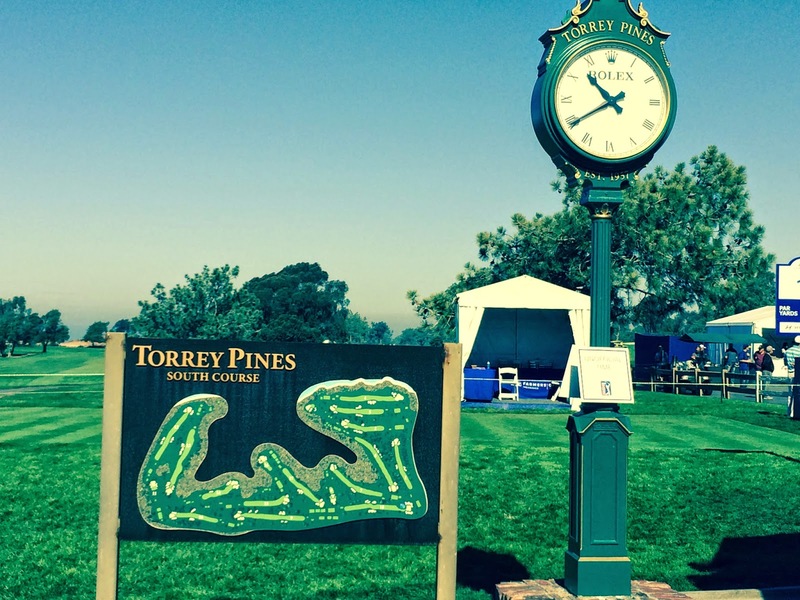 Add on top of that watching some of the best golfers in the world ply their trade makes for a heck of an event. 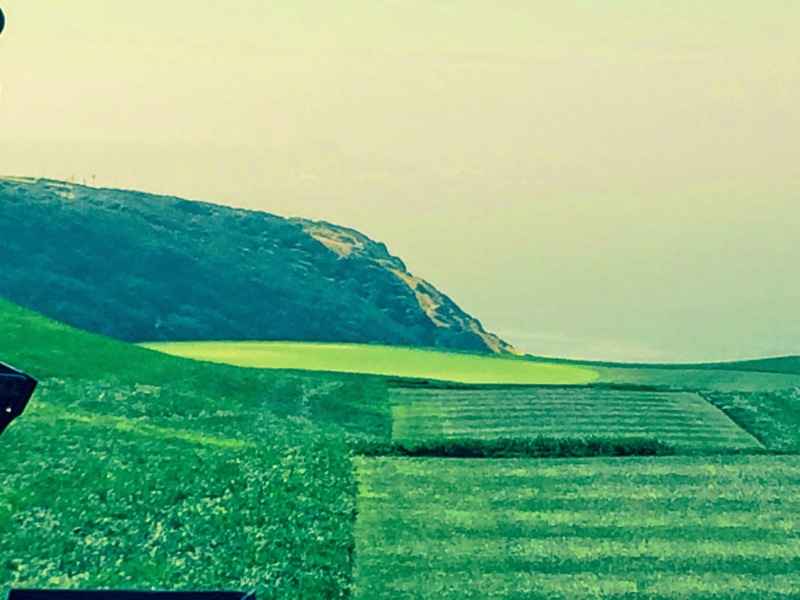 The Farmers is a must do and Torrey is a must play in my book!